An exclusive visit has been arranged for members of IMCoS to the John Rylands Library in Manchester City Centre, one of the most spectacular libraries in the world. We will see maps and atlases which are part of a collection given to the library by the 5th Earl Spencer in 1872 plus many other treasures. 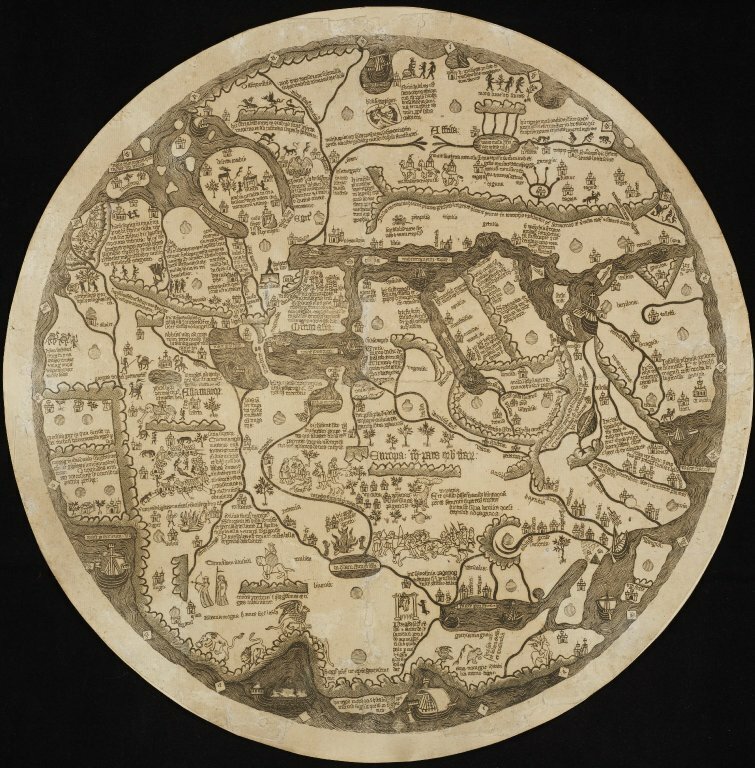 Amongst the items on display will be a 15th century map of the world, an atlas by Christopher Saxton, William Smith’s draft manuscript for his map of Lancashire in 1604, a Japanese atlas of Tokaido, and many more. We will also visit their historic Reading Room and entrance hall in this magnificent building. We will then go out to lunch in an Italian restaurant before an afternoon visit to Chethams Library which was founded in 1653 and is the oldest surviving public library in Britain. The day will start at 09:45, so if you wish to join us you may need to book a hotel for the night of March 30. The John Rylands Library is located at 150 Deansgate and Chethams is in Long Millgate. We suggest the city centre Renaissance Hotel which is conveniently placed for these venues. The restaurant where we will be having lunch is also right next door to this hotel. The cost of the day’s visit (including the light lunch, but not including travel and the hotel) will be £35 per person payable in advance, by cheque made out to IMCoS or by credit card. Places are limited to 25 people so book early not to be disappointed. The visit is now full. If you wish to be added to a waiting list please send us an email; please send no money. Travel and accommodation must be arranged by you personally; the train service from London to Manchester is regular and comfortable. More information will be sent nearer the time by the Event Organiser, Valerie Newby.